Serves: 1-6 individuals, depending on how many you eat yourself! No special equipment is needed to make these wonderful croutons. Heat the oven to 400 degrees. Cut the bread into cubes. Melt the butter with the oil, and add the garlic and other ingredients. Reduce over the heat, so that the mixture is infused with the flavors, but be careful not to burn them. Remove it from heat and pour the liquid over the bread cubes; mix thoroughly. Place on a baking sheet and place in the oven for 15 to 20 minutes or until brown, but again be careful not to burn them. Let cool slightly and then add to your salad or soup. 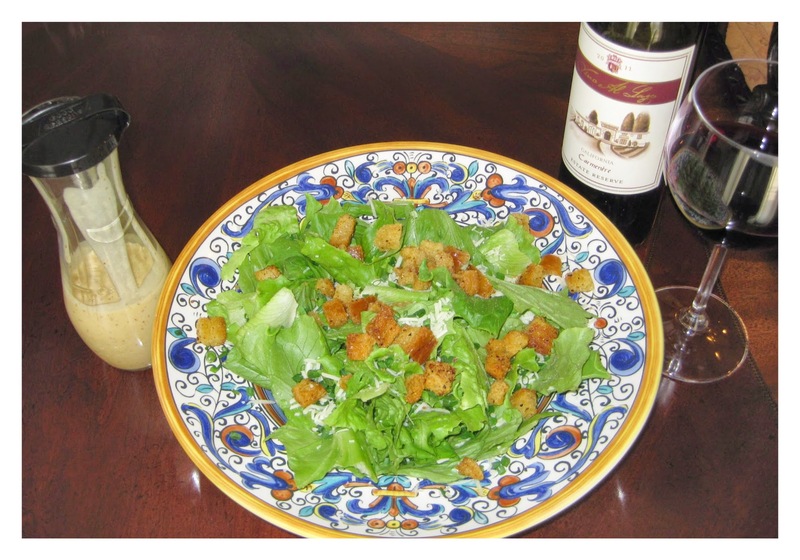 As a serving suggestion, these are terrific croutons for our Caesar's Salad recipe.